If you lived in London you would call it the Underground, but the underground system in Moscow is called the Metro as it is in Paris. 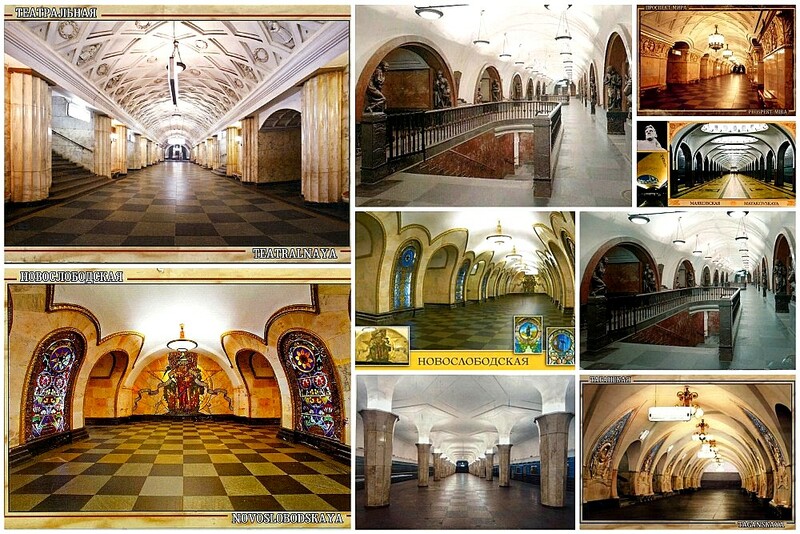 However you would never mistake the Moscow metro stations for those in any other part of the world. They are magnificent! I have never had the good fortune to see them for myself but I can enjoy them through postcards, and maybe one day I really will be able to see them with my own eyes. Wow! Makes you want to rush off to Moscow.